Every so often most home owners have a desire, or need, to undertake home renovations to improve their lifestyle or address problems with their home. When this time comes some choose to do the renovations on their own. Others may employ contractors. The renovations may be small such as repainting or new light fixtures. 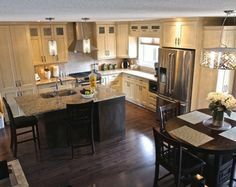 More extensive renovations may include a new kitchen or bathroom which can require plumbing or electrical work. In a condo building, the owner of two neighbouring suites may want to knock down a wall to make a single larger suite. Home renovations in a condo building requires a different approach. In-suite renovations, when not done properly, can affect the condo building and neighbours in ways that may not be anticipated by the condo owner. Even simple renovations such as replacement of a toilet or shower can become a problem if something goes wrong and there is damage to the main system. Adhering to a few basic practices helps facilitate trouble-free renovations. Always check with the board or management before embarking on any condo renovation project. Also review your condominium documents. Condominium rules are intended to protect both residents and the building infrastructure. It is the job of condo management and the board prevent problems. They need to know what work is being done in a condo building and to ensure this work complies with allowable alterations. It is best to provide a plan for management to review identifying what work is to be done and requesting written approval. Include details on who will be doing the work along with start and end dates. Ask management to identify any concerns so that plans can be modified prior to work commencing. Even when condominium documents appear clear on what alterations are allowed, it is best to avoid potential misinterpretation by seeking approval in advance. As a general rule, cosmetic changes such as painting or cabinet replacements are unrestricted. Appliances can be a concern when they impact on overall utility usage. Creating additional bedrooms may not be allowable because of suite occupancy limits. Load bearing walls cannot be knocked down without permission. There may be limitations on when work can be done or on disposal of debris. Floors may require sound control materials. Alterations to a front door, façade or roof may be prohibited. Some work may require that water, electricity or gas be shut down in a building. Minimizing resident inconvenience may necessitate limiting when or how frequently these shutdowns occur. Contractors may require space in a loading area, elevator access or access to a dumpster. This may necessitate advance booking to use these spaces. Renovation projects that extend beyond a planned completion date are a disruption to building residents. Delays may prevent other residents from commencing their planned renovations. Work that generates noise should be limited to weekday daytime hours. Many condo corporations identify specific hours and/or days when this work can be done. Improper electrical, plumbing or other contractor work can result in damage to central building systems, neighbouring suites or common areas and creates unnecessary risk. 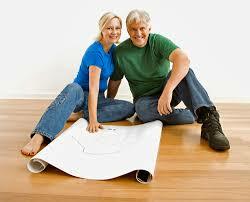 It is best to use licensed and insured contractors to protect yourself should something go wrong with a renovation. Refinishing hardwood floors can cause a fire. Plumbing work and anything utilizing water can result in water leaks or seepage. When a contractor is not insured, the resident could be liable for costs to repair not only their own suite but other suites and common areas. Even when condo building insurance is applicable, deductibles in the tens of thousands of dollars could be the responsibility of the offending resident. Contractors should have experience working in condo buildings. It is best if they have done work in your condo building so that they are familiar with the building along with the condo corporation’s rules and requirements. There are consequences for not following the rules. Where an installation, renovation or alteration is not in compliance with condo rules the condo corporation could require a reversal of any changes. They can require that work be redone to conform with rules or building standards. Improper removal of a structural beam or wall could compromise the integrity of an entire building. The cost of hiring an engineer and restoring the building to its original state would be extremely costly to the resident. The board and management have a building to run. For your neighbours the building is their home. It is best to respect condo rules intended to protect all residents.